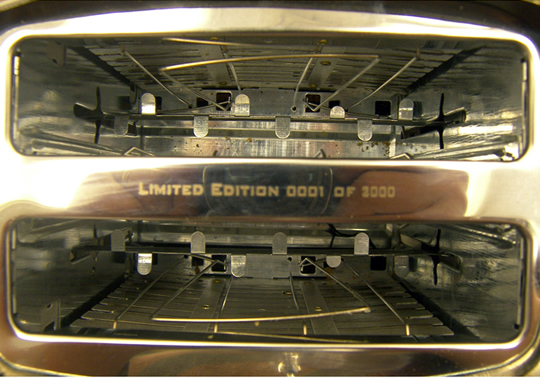 Toasters that burn an image into toast are generally a total snoozefest, but we're impressed with the Battlestar Galactica LED Chrome Toaster made exclusively for Comic-Con 2009 in San Diego. 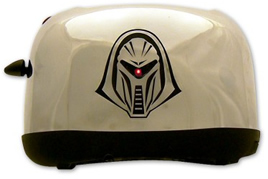 Limited to only to 2,000 units, it fittingly features a moving red LED cyclon eye, and is available only on NBC's online store for $90. 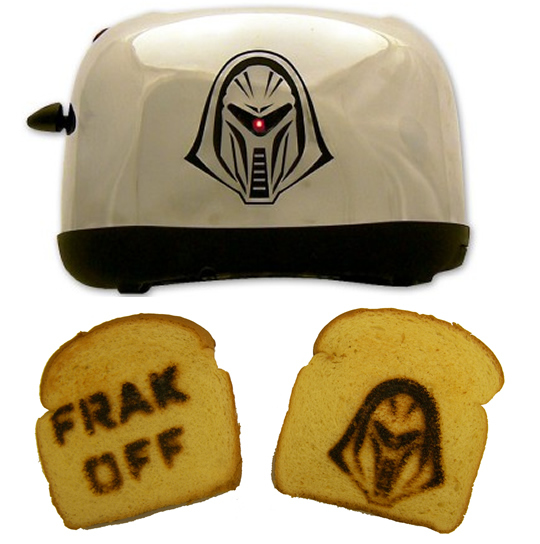 It would pair perfectly with the Cylon Coffee Pot Model 0001 and the Starbuck's Fresh Roasted Cylon coffee mug.